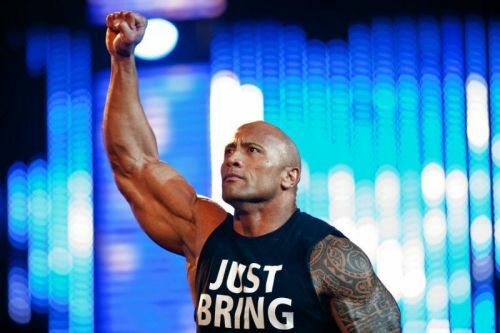 Why in the world would WWE bring back The Rock? While there have been a lot of positive things happening in the WWE lately, especially since WWE improved their storytelling and made feuds more personal, but that doesn't mean the current WWE landscape isn't without its problems. In fact, there is still a lot to worry about if your a wrestling fan and a lot of that has to do with the bad decisions the company has made lately. Think about it! For every great decision like putting Drew McIntyre in a main event role, making Shinsuke Nakamura United States Champion and reuniting The Shield, there are also terrible decisions that hurt the overall product. Furthermore, it sets up a very bleak future for the WWE and their fans. In the end, it's up to the WWE Universe on how to feel about these ten things, but it should be cautioned that they don't take them lightly. While these may seem like little things that couldn't possibly hurt WWE, the superstars, Raw and Smackdown Live, they very well could in the worst way possible. With that being said, here are then things the WWE Universe needs to be worried about and how they will affect the company going forward. As always, let us know your thoughts in the comments below and also be sure to tell us which of these problems that you are most worried about and why. Will WWE ever bother to make Asuka great again? Asuka was supposed to be treated like a big deal when she came to the main roster and while WWE did that for a while, the company lost faith in her for one reason or another and had her on a losing streak since WrestleMania 34. In fact, she also lost to separate times to Carmella for the Women's title and one of those was a relatively clean finish. If nothing else, how Asuka has been booked should be an immediate sign that she isn't going to be booked much differently in the near future and that anyone in NXT could one day suffer the same fate. Unfortunately for the WWE Universe, this has been happening a lot lately and it seems like no one is safe from WWE's bad booking.